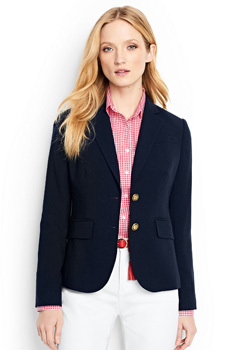 I wore this blazer on Saturday when I hit up the Brooklyn Museum’s First Target Saturdays with my hubs and son. I absolutely love it because I love all things navy, especially a dope blazer. Feels like blazers and jackets are becoming my uniform lately. This one is made of towel material, although in photos, it looks velvet. It's pretty cool because it can be customized in a color combo you desire here. If you follow me on IG (shameless plug), yesterday I asked you what your love language was. There are 5 of them: acts of service, quality time, receiving gifts, words of affirmation and physical touch. I have been thinking about this lately because sometimes we fail to connect with our loved ones in a way they specifically need. In their mind and for all intents and purposes, they are doing a lot. But by whose standards? Doing a lot, according to them, still doesn't equate to you necessarily getting what you need from your partner. My husband and I recently had a great pow wow and hashed out a few topics where we made assumptions or misunderstood where each other was coming from. It helped us each to get a clearer picture of exactly what we needed from each other. Communication is the lifeline to any relationship. Often times, I feel like I am accomplishing so much when it comes to handling our household, but still end up missing the mark when it comes to connecting to my husband. Why? His love languages are acts of service, words of affirmation and physical touch. When he does something and I’m not taking the time out to thank him and tell him how much I appreciate it, he gets salty. My languages are quality time and receiving gifts. But gifts mean nothing to me, if I don’t get my quality time in. My frustration grows with a week of barely seeing him so when he lets me know that he happens to be in the area and can take me to lunch, I’m psyched. At the end of the day, it’s important to make sure you are connecting with your partner in the way that they need. As we get closer to Valentine’s Day, find out what your partner’s love language is and make sure you cater to them in a way that works for them and not just you. What are your thoughts on this topic? Drop me a line and tell me what your love language is.